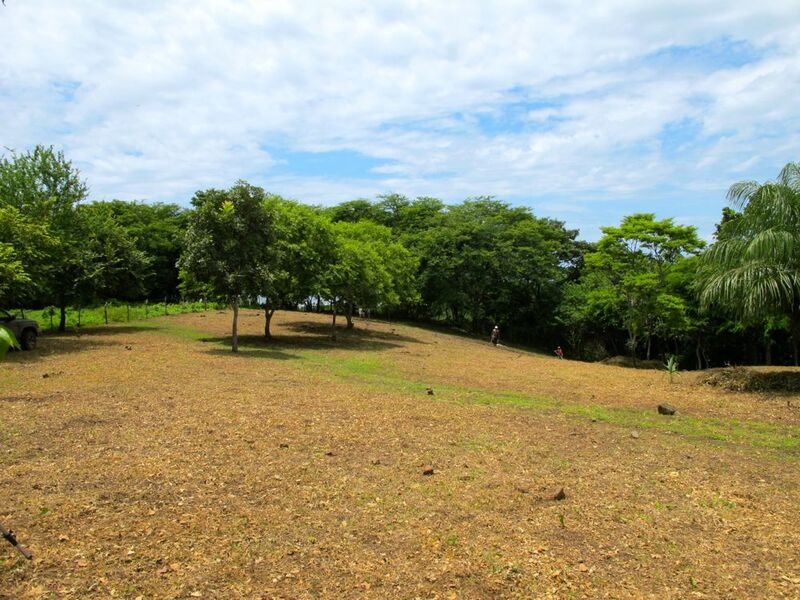 We bought an awesome lot in the new eco-friendly community in Northern Nicaragua called Tierra Del Sueno and are starting to make some improvements. The first step was installing a fence around the perimeter so we can more clearly see the lot the boundaries and also keep the horses and cows from munching on whatever young trees we would plant. There are two choices for types of posts that will sprout and become a living fence – tiguilote and jocote. The good thing about having a fence that grows is that it is actually putting down roots to help hold itself in place and will grow branches to help with shade. Although jocote has fruit that is slightly more delicious, we prefer tiguilote since it’s a bit more solid. Each fence post usually costs about 20 cordobas to buy (just under $1 US), but we were able to find all of our posts on the property. We bought three rolls of barbed wire, and had the caretaker get to work. It took about a week for him to cut the posts, install them in a nice straight line, and then string the barbed wire. After installing the fence we had the caretaker Adan clear the lot of weeds and pull out any big stumps as well as moving rocks around. With the lot clear we get a much better look at the slope and can start planning our building strategy. Since there are still two months left in the rainy season we put in a few trees including malinche, neem, and caoba (mahogany). 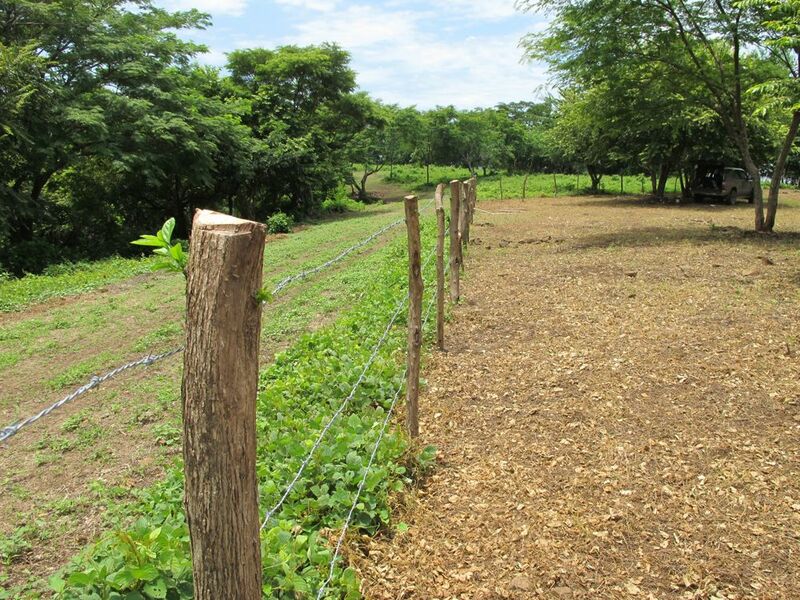 This entry was posted in Nicaragua, Tierra Del Sueno and tagged hipehabitat, holly beck, kim obermeyer, living fence, lot clearing, lot for sale, nicaragua, northern nica, tierra del sueno. Bookmark the permalink.